Topline Stables offers quality English riding instruction to students of all levels. Note: the above costs are for riders that own their own horse. Payment: Lessons must be paid for in full prior to the start of each lesson. Cancellation policy: A minimum of 12 hours notice is required. A cancellation fee of $30.00 will be charged for lessons that are missed or cancelled without prior notice. Have you always wanted to experience the wonderful world of horses? If so, Topline offers two fun and safe Introductory programs that provide an opportunity for people of any age to experience horses and learn how to handle and ride them safely. Between March and November, Topline offers two consecutive levels for enthusiastic beginner riders consisting of four weeks each. The Introduction to Horses and Horsemanship Program is a planned progression of horse handling, stable management and riding skills, with an emphasis on fun, safety and education. The program is designed to provide enthusiastic horse lovers with an opportunity to gain hands on experience and gain confidence. Lessons are scheduled for one hour of private instruction with a certified coach. 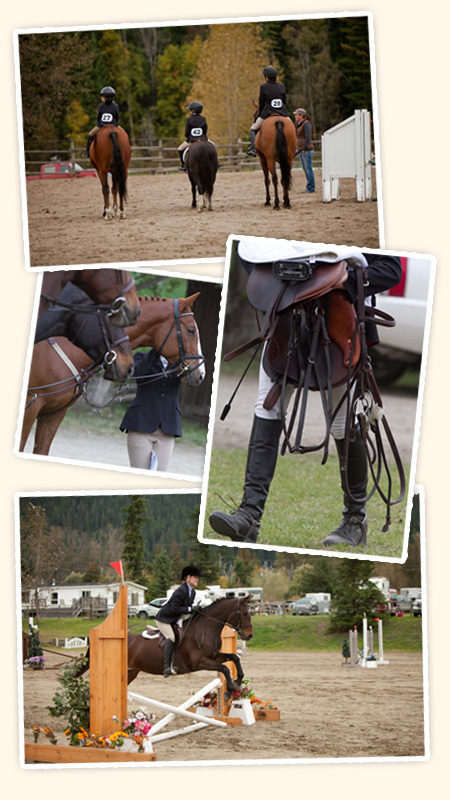 Upon completion of the program or for riders that already have solid basics, private lessons may be arranged. All students must wear appropriate footwear at all times while working around and riding horses. Appropriate footwear is a hard-soled shoe with a proper heel. An ASTM-SEI Certified Riding Helmet must be worn at all times when mounted. Some helmets are available for use on site.